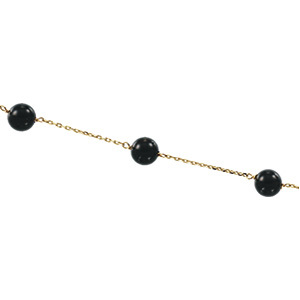 14k Yellow SOLID Gold CZ black onyx bead station necklace. 18 Inch! 4 carat total weight. HOT!